SEO is search engine optimization, and it’s the practice of increasing quality and quantity of traffic to your website through organic search engine. Search engines are expecting blog content to be fresh, relevant and longer – 1000 keywords is standard and 2000 or more is expected in highly competitive markets. Being listed in online business directories is an becoming increasingly important factor in your SEO. Our IWDS tool can help you get listed in 50+ directories and your data submitted to the search engines correctly PLUS 200+ data aggregators. Contact us for a baseline report to see where you currently rank PLUS $150 off for our podcast listeners. Next week we will be talking about PPC (Pay Per Click) marketing. 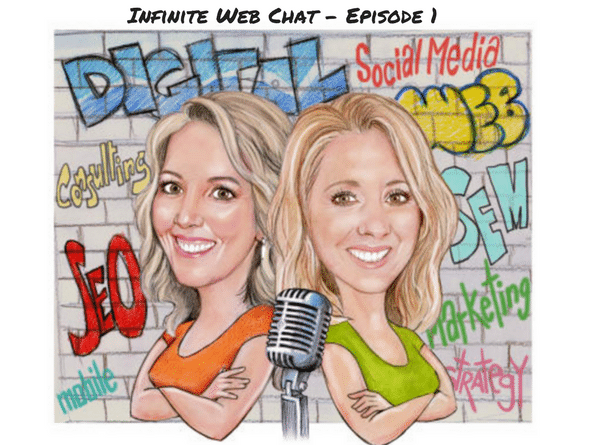 Amy DeLardi: Hi, I’m Amy DeLardi with Infinite Web Designs, and I have LeeAnn my SEO and social media specialist here with me today. Today’s topic is SEO, and we’re going to share a little bit about our knowledge of search engine optimization, and some of the tips and tricks that we use, or we know that are important to use. LeeAnn why don’t you say hi, and we’ll get started. LeeAnn Holmberg: Hey there, nice to visit with you today, and I’m excited to talk about SEO, and see what all we can share. Amy DeLardi: Great. You want to explain what SEO stands for, and a little bit about that before we start. LeeAnn Holmberg: You bet. SEO is search engine optimization, and it’s the practice of increasing quality and quantity of traffic to your website through organic search engine. We start by targeting keywords that, and then researching those keywords. Which is really the foundation, the most important part is not necessarily what keywords you think that your audience is looking for. But taking that list and then really refining it and seeing what people are actually searching. Then going about optimizing your website, so that search engine pull your information when users are out there looking. Amy DeLardi: That’s a great point, LeeAnn, and we get that all the time, right? When we’re working with clients, and they’ll send us a list of keywords, which we encourage, and we ask them to do so, because they know their business better than we do. But often times the keywords that they send us, and the keywords that we do a little bit of research on have low search volume. You want to talk a little bit about that research, and what the low search volume means, and explain the difference between low search volume and high search volume. LeeAnn Holmberg: Sure. We use tools online, and some of them are free, some of them are pay. But we go out and once a client gives us a list of what they think their keywords are we take that, we have an internal discussion, kind of like what we’re doing right now, what we think we should add to that list. Then use those tools to see numbers, how many people are actually searching for a keyword, or a keyword phrase. We start to hone in on the list of keywords that are getting the higher search results. Because if your website is optimized and optimized well for a keyword, or keyword phrase that doesn’t have high search volume, then it doesn’t do you a lot of good. A lot of times we run into clients you want this extensive list of keywords, or they want to really focus on this one thing, and don’t understand that that’s not really what the end user is out there searching. We try to educate them, and try to get them to focus on using keywords and keyword strings that are highly searched, and then we can optimize your website for that, so that it matches what people, end users are actually going out and typing in their search engines. Whether it’s on their computer, their phone, or their tablet. Amy DeLardi: Great. Let’s talk a little bit about once we have that list, and we run that by our clients, and they sign off on it we may have to go back and forth a few times, which is a normal process. But once we have that list we use it as a roadmap for ourselves internally, as a team. When we’re applying the strategies to the website, but also for tracking measures, which we can talk a little bit about later. But let’s start talking about some of the different strategies that we can highlight. Because the search engines, mostly we target for Google, the most popular ones Google, and Bing, and Yahoo. But they have probably hundreds, wouldn’t you say LeeAnn different what’s the word I’m looking for? Not validations, but they have different things that they rank you on. Whether it’s the how long you’ve owned your domain name, how many hits you get to your website, so there’s a lot of different factors. That’s the word I’m looking for, a lot of different factors that they look for when they rank you. But content is the king factor, and if you don’t have the right content, or the right amount of keyword rich content on your website that can really hurt you, and that’s one of the biggest factors. Putting that aside, let’s talk about a few other different factors that help with the ranking of your website for your keywords. LeeAnn Holmberg: Sure. I guess my SEO and marketing age will show a little bit, but there used to be like tips and tricks around making Google work for you. You used to be able to stuff all these keywords, or jam a keyword into, like Amy mentioned your domain, your URL, and that would automatically work. Google has definitely grown, it’s smarter, and their goal is to make the user experience the best experience possible. As they’ve grown with that they look at what you’re saying. Are you redundant? If you get too repetitive, then you’ll get dinged on that, so we want to make sure that we’re giving good high value content. Also, make sure that your images match what we’re saying. That includes adding an ALT tag, adding … We go through we had heading tags, which Google reads first. They go through this checklist, and that’s one of the things they look for, is do you have keyword rich headings, that’s a large bold areas on their website. Like titles, and things like that. Do you have a good meta description? There are plugins if you’re using a WordPress platform, or a lot of the done for you websites will allow you to type in your own meta description. Does it match the content of your website, the quality of your website? It gives Google a good snippet of here’s the information, sometimes you’ll look when you’re doing a Google search, and you’ll see people will leave it as just the first few lines of that page, and that’s not an optimized website, or not an optimized page the way that we would suggest. We would suggest really honing in and saying this is the overall view, picking those keywords, and focusing on that. In that meta description adding content, adding a blog, connecting social media networks, making sure that your name, address, and phone number is consistent on your website as it is when you’re listed in Google on the business pages. Amy DeLardi: Let me stop you right there, LeeAnn, because that is an exciting piece of something that we’re working on with the name, address, and phone number. Which is the Infinite Web Directory Solutions, which we’re having a lot of fun with. Let’s talk a little bit about that because that ties into the back linking, and the consistency that you were just speaking of. 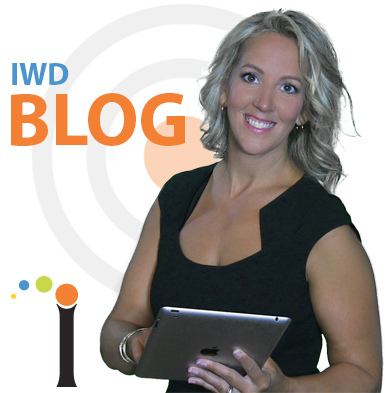 Let’s introduce Infinite Web Directory Solutions, or IWDS for short, and take a couple minutes to explain that. Then we’ll get back in to some of the other things. I heard you mention blog, and I want to talk a little bit about blogging, and how that helps with SEO. Amy DeLardi: Do you want to explain IWDS, or do you want me to? How do you want to do that? LeeAnn Holmberg: Sure. I’ll jump in and just say that I think Infinite Web Directory Solutions is one of the bigger trends that we’re seeing SEO move towards. Google and Bing don’t just want to see your website be fully optimized, now they are holding you to a higher standard, and they want to see you be consistent across all of the internet. That means like I mentioned before social media, that your name, address, and phone number, and the information that you supply on your social media platform match and are linked to your website. But also we have all of these smaller online business directories. While we talk about Google, and that’s kind of an all encompassing thing, when we talk about search engines Google, Bing, Yahoo, like Amy mentioned. There’s a ton of other ones. There are all these local directories, like Yelp, Foursquare, there are industry specific, if it’s restaurants, or medical, legal. Google is now holding you to the standard that they want to see your information not only listed on those places, but listed and optimized with consistent information, so we have a tool for those of you that have tried to do any of this, you might know. You can spend hours, and hour, and hours, it’s a rabbit hole, on one directory trying to get everything consistent, images, pictures, everything verified. And then not have their marketing team call you, and beat you down trying to get you to run ads specifically on their platform. Amy DeLardi: Which we had. I didn’t even tell you about this. Sorry to interrupt, LeeAnn, but we had this yesterday, and Yoana did a call with somebody from Yelp, and they were, and what they were selling us sounded great, right. But they wanted us to increase from our organic Yelp directory listing, which is free to a paid version. Although all the bells and whistles sounded wonderful, and they probably worked exactly the way that they were selling it to us, it really wasn’t affordable for Infinite Web Designs to invest in that. That was the minimum investment of 400 dollars a month, up to 700 and something dollars a month. Our directory solution in comparison you’re getting into 50 plus, maybe sometimes up to 150 different directories, some of which I’ve never even heard of. But at least you’re getting your information out there, but I did a comparison, and I’m thinking okay for 300 dollars a month you can get into all of these different directories through IWDS, and that pricing may change, so get in now if you’re listening. But the Yelp it was even more expensive than our monthly service, and that’s just one directory. I can’t agree more with what you were just talking about with the pricing, and how just one service with one of these directories can be more expensive than what we’re charging to get into multiple directories. And doing it for you, so it’s saving you time and money, right. That’s the best thing. LeeAnn Holmberg: Absolutely. We will gather all that data for you, and then we submit that out to, like Amy said there’s 50 plus standard local directories, and then we have over 200 data aggregators that then cycle that out to the internet. To then say hey, not only do we have our information out there, like we’re putting all of our ducks in a row, we’re getting it all consistent on your behalf. Then Google and Bing will perk up and go hey, they’re listening, they’re paying attention, we’re seeing this data that’s consistent. Now not only will you have the work that’s done on your website, you have it across the internet, and they will start to reward you for that, which will bring … The goal is to have your listings be high. Ideally get up in that first few spots before you have to hit scroll, and people clearly will look away. Kudos to Yelp and the other teams for their marketing efforts, that as soon as you start to optimize on their platform that triggers their marketing team. There’s not a ding in that. However if your ultimate goal is to increase your visibility online putting your dollars across the board, and getting you consistent is going to get you further than doing it on one platform. We have this tool, we can do this on your behalf. Amy, actually visited with a group last week and was highlighting this tool to them, and I don’t know Amy if we still have any kind of specials, or anything going on. But we would be happy to run a baseline to tell you where you are now. Give you a look at where your website ranks not only on the search engines, but across all of those directories. Amy DeLardi: Oh, I’m sorry. Did I cut you off? I was so excited to share the special. LeeAnn Holmberg: No, please go right ahead. Amy DeLardi: The specials that we are running is to waive the setup fee. The setup fee is 150 dollars, so you’re saving 150 dollars just in the first month by us waiving the setup fee, which I’m excited to be able to do. The best way to get your free report, and to open the discussion would be to call us at 203-307-5107, again that’s 203-307-5107. The service that you’re going to reference is IWDS, and you can just mention that you listened to the podcast, or you met with us, and you were talking with us, and you want to learn a little bit more, and get your free report. The last thing that we’ll talk about is the reporting piece of this, because every month our clients that retain us they will get a monthly report, and in that report they will see how we are tracking the increased visibility, and the percentage of visibility. If you start out at, what do we see most people start out at? Anywhere from a very low 12 percent, sometimes people start out at 30 percent, some people I’ve seen start out a little bit higher 50s, 60 percent visibility across the internet, but the ultimate goal to get to 100. That’s just by saturating the internet with your name, your address, your phone number, your web address. Again the best way to do that is to get into a bunch of different directories. I like to say if you can’t beat them, join them. The directories typically if they get a lot of traffic they will show higher in the search engines than your organic listing. There’s that if you can’t beat them, join them, so now you have multiple marketing factors working in your favor, and multiple listings. Whether it is a directory, or your organic listing you have those multiple listings working in your favor, and really trying to reach your target audience, and drive traffic to your phones, or your website. 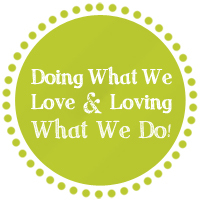 That in summary is IWDS, and I love how it pairs nicely with SEO, and our monthly SEO services. LeeAnn I didn’t even tell you this, but one of our clients is a landscape design and architect, and we turned their directory solutions on, I think in January maybe. Maybe in the Fall of last year knowing that their busy season was coming up, and I just ran into them, and I asked them for a testimonial actually. Because I ran into them and they were like, “Whatever you’re doing our phones are ringing off the hook, it’s crazy busy, we almost think that you should shut it off, because we’re too busy.” I was happy to hear that, I laughed, of course I’m not going to shut that off. Because you can always manage volume of work in a different way, but I just think that’s a great testimonial to how this is working, and how Infinite Web Designs gets our own leads, and stuff. I’ve seen a definite increase in the amount of leads that I’m getting from our website, and across the internet. I think those are two real good testaments to how the Infinite Web Directory Solutions is working for our clients. With that said we could go back to talking a little bit more about SEO, and I want to talk about blogging. Believe it or not I just has a client say to me the other day, “What is blogging?” A lot of people still, or maybe not a lot, but some people still don’t even know what blogging is. I’m not going to go into the description of it. But it is a strategy really to get more content on your website, and to be able to share authentically through your own voice on your website, and to be able to talk about your products or services in a more authentic not so sales-y, or I don’t want to say professional, but in a way that maybe you wouldn’t just write, copy. Almost in your own voice versus how you would write copy for a web page. LeeAnn Holmberg: It builds expertise too, so it takes the stand alone content that is on your webpage, and then allows you to wrap more information around that. Or focus or highlight on one particular aspect of your business that you might not necessarily. Amy DeLardi: Going back a few years ago a great blog post was like 250 keywords, but now that blogging has become a little bit more of a strategy to get keyword rich content on your site, and outdo your competition so to speak. How many words now are they, Google, or the search engines, how many words now is an average blog post that’s good for SEO? LeeAnn Holmberg: Sure. Yeah, it definitely has evolved, and now I would suggest that you regularly aim for about 1,000 words, again you don’t want to get redundant or stuff with a lot of keywords. But if you’re giving good valuable information, that would be the goal, around 1,000 keywords. Now, if you’re just shy of that, or just over that it’s not hard and fast rule, just kind of a guideline. With that said, if you’re in a highly competitive market finance, gosh Amy can you think of …? Amy DeLardi: The healthcare industry is highly competitive. LeeAnn Holmberg: Yeah, there are lots of different … If you’re in an area that is highly competitive then I would shoot for more than that. More along the lines of an ideal length of 2,000 keywords. I know that that’s a lot, that’s a stretch. If that’s not something that you are comfortable with you can find a great copywriter. Our team always has suggestions for things like that. There are a million places online where you can find good copywriting skills, people who are familiar with SEO, and can apply that to the work that they’re doing when they’re providing you content. A lot of times when people throw blog posts over the fence to us we take that. I’m thinking of one client in particular they send me a few blog posts a month, and each time I take those I have the liberty of editing it a little bit, and cleaning it up so that it is SEO friendly, so it has all of the information that it needs because their copywriter isn’t so familiar, so I can look at that, and I can add our twist to it. It is longer, and that can be a little bit daunting, but I think that it is important, because you want that valuable content. Then adding images that are appropriate, and all of the things that we discussed earlier. The adding an ALT tag to your image, so that Google can search it, and inducts it better, adding the meta description, so that you have an overall view of what the blog is rather than just pulling those first few lines of the content. Amy DeLardi: Also, one other thing if you’re doing a video, or audio like we’re doing. Amy DeLardi: You want to, the search engines don’t know, they can’t listen to the audio piece of it, so even giving a transcription, or something that can give a hint to the search engines as to what that audio or video content is is extremely helpful. LeeAnn Holmberg: Yeah, absolutely. There are transcription services too. It’s there. We have a whole host of tools that we can provide that offer quick and easy turnaround times, so that you’re not waiting, it’s not overly … It shouldn’t be an overly complicated process, it should be you regularly adding content to the website, which leads right into the next thing. Adding those external links, back linking, and linking to other websites to help grow you reach. For me, I will say one of the biggest mistakes I see being made, and one of the things I always look for is when you’re adding those links within your website to external sites, always do it as a pop up. That’s one, if I can offer one tip on your blog, even on your website period if you’re going to send them somewhere else don’t do it within, don’t make them leave your website. Amy DeLardi: Yeah. Open up in a new window, I know. That’s one of my pet peeves. Amy DeLardi: In closing I just want to ask you what do you think is, I know I have what I think is the biggest miSEOnception of SEO, and I want to see if it’s the same as mine. Do you have a …? LeeAnn Holmberg: I’m going to give two. Amy DeLardi: Okay. Go ahead. You’ll probably steal mine in the process. LeeAnn Holmberg: One, would be that it is a one and done. That you can go and just do this one time, and leave your website static, as is. You really need to be adding valuable content, and doing a lot of the other things that we talked about, making sure that you’re consistent, not just on your website, but across the internet. Amy DeLardi: Hold on one sec. I know to that point I always, when I’m talking to clients, I always say to them doing that one and done is kind of like going on a crash diet before you have to go to a wedding, or an event, a special event, and you want to lose whatever, five, 10 pounds, and look fantastic. But then the rest of the 300 and whatever, 65 days out of the year you’re not eating healthy, not fueling your body, not working out. It’s not a crash diet. It’s a more of a consistent healthy fostering relationship that you have with your website, so that’s how I like to explain it. LeeAnn Holmberg: Right. I couldn’t agree more. Just like getting ready for vacation, and then going on vacation and just let it all go. Amy DeLardi: Right, right. You could tell we’re fitness, and try to be health nuts too. LeeAnn Holmberg: Yeah. That’s one, and then the other one is that this is something that you can do immediately that we can do this. What’s the time frame? Can you have this done in three months? This is, again going with the health and fitness analogies, it’s a marathon, this is definitely not a sprint. This is something that is long term, it takes time. One thing that we’re pretty key on doing in our practice is running that baseline report, not only for both, if we’re just doing SEO on your website, or if we’re doing the IWDS solutions, or really anything that we do we always like to take a baseline and capture where we started, so we can start to see that. But it really does take time. If you rush it, then you’re not going to see the results, or the return on investment that you’d like to see. Did I steal yours? Amy DeLardi: You did. But I have another one, so I have two. You already said the other one, but yeah it’s the quick process, yeah I can’t agree with you more that people are often impatient. Or they come in thinking well I have good SEO, I search my name and I come up, and that’s not really how people are searching you, because they don’t know your name. But that’s not my other one. My other one is there’s no guarantees. I will get a lot of people that will say, “Gosh, I don’t know if I can make that investment. If I was guaranteed, and I knew that I was going to get the ranking, and the click throughs, and the leads, and I knew it was going to bring in work, then I would be bale to invest in it.” Unfortunately there are businesses out there that will guarantee ranking, and the only way to really guarantee ranking is through the paid advertising, whether it be Google, AdWords or what not. Where you’re paying to play. But that’s a whole other podcast that I would love to have another discussion with you in the near future. In close, I want to just thank our listeners and our audience for their time today, and we’re trying to keep these within like 30 minutes, so that it’s digestible information. We’re going to be posting this to our blog, which is located on infinitewebdesigns.com, do you can listen in over and over again to get all of this juicy, helpful information. You can also find us on social media, so on our Facebook, or we’re on Pinterest, and Twitter, so you can find us there. Again, stay tuned for future podcasts, and discussions. I think the next discussion that we should roll right into, LeeAnn, would be the paid versus, you know paying to play advertising and the organic. Because I think that that needs to be a little bit more demystified for some people. Amy DeLardi: Thanks again, and thank you, LeeAnn for your time, and for doing this with us. I don’t know if you want to say any last few words. LeeAnn Holmberg: Yes, I enjoyed chatting. Hope, we are having these kinds of conversations internally all the time. If there’s a topic or subject that you would like for us to give our thoughts on, then hit us up on any of the social media platforms that Amy mentioned, or she gave our phone number earlier, give us a call. We’d love to talk about whatever is interesting for you too. Amy DeLardi: Yes. Infinite Web Designs, 203-307-5107. We’re always there. Thank you. Spreading Social Media Love To All! How Does A Blog Help Your SEO?